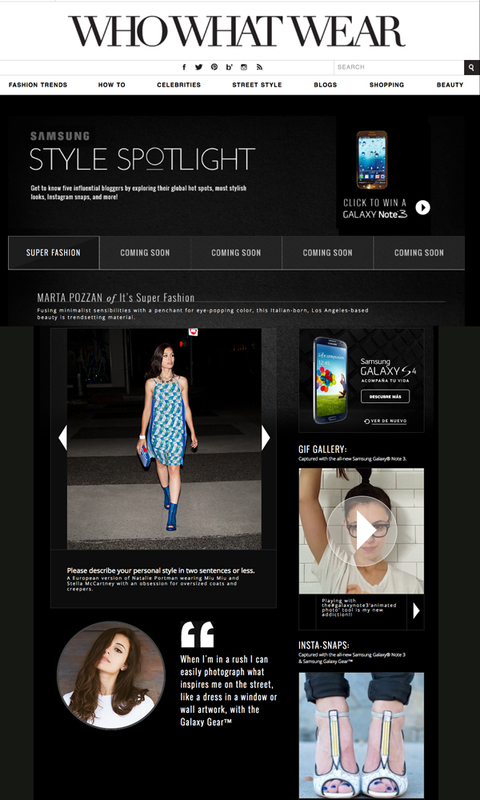 Fashion promotion with Samsung and WhoWhatWear, a fashion and lifestyle website. We were asked to make a “heat map” pinpointing the locations of different models and fashion bloggers that used the new (at the time) Samsung Galaxy to do their photo shoots. It featured updatable Google map integration and data scraping from each bloggers personal page as well as the parent company WhoWhatWear.